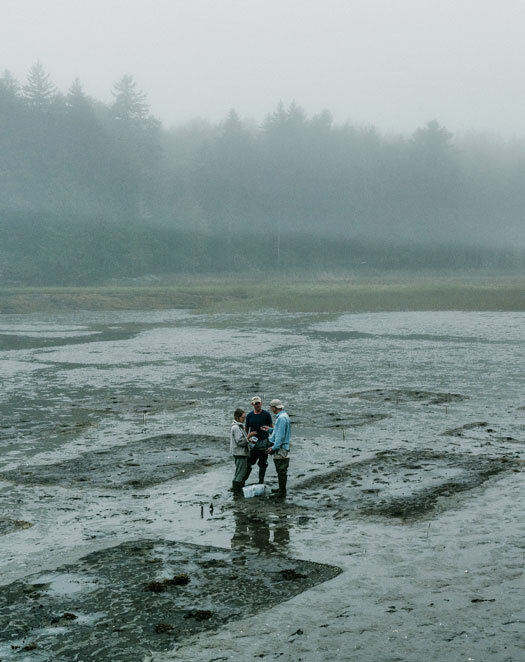 “There are only so many tides in man’s back,” says Chris Warner, a lifelong shellfish harvester and the prime mover behind the Heal Eddy Clam Restoration Project in Georgetown, the state’s first commercial-scale softshell clam farm. On a winter day in Georgetown six years ago, Chris Warner’s daughters came along to watch him clamming. If their dad was digging in the cold, they knew it meant he was strapped for cash: winter clams would fetch some $45 a bushel, down from a summertime price of about $140. When Warner’s daughters peeked into his basket, they offered a suggestion: why not bury some of these clams, all in one spot, then come back for them in August when they’re worth more? Now Warner is among many in Maine’s nascent aquaculture industry wondering what it’ll take to bring more wild harvesters into the farming fold. Faced with a warmer and more acidic ocean, crowded fisheries, dwindling wild shellfish stocks, and lobster populations shifting northward, Maine’s traditional fishing culture is on the verge of forced change. Folks like Warner hope that change will involve a broader embrace of aquaculture — if not as an alternative to clamming, lobstering, and all the rest, then at least as a supplement, diversifying old-school fishermen’s already precarious livelihoods. But fishermen have been wary of an aquacultural shift. 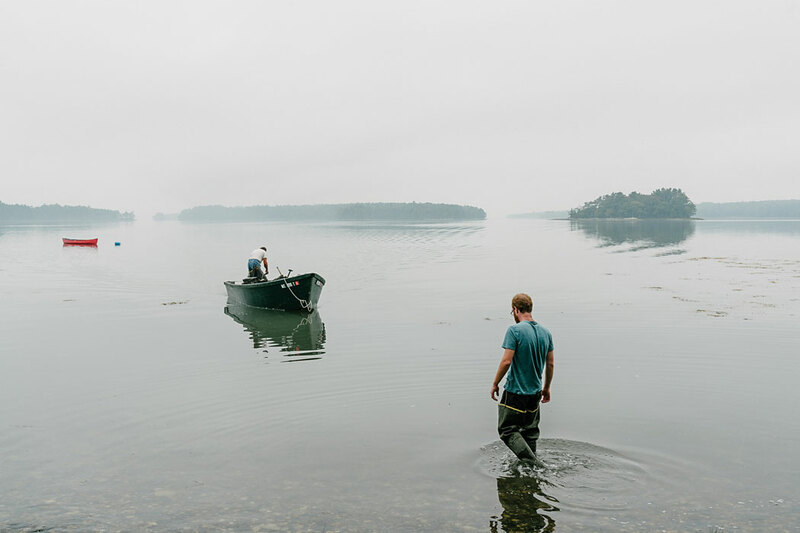 In 2014, when the University of Maine’s Sea Grant program launched its Aquaculture in Shared Waters initiative — classes, field visits, and mentorship designed to help fishermen launch new seafarming projects — only eight people saw the program through. This year’s running, which wrapped up in March, saw enrollment grow to 15 — steady, but certainly not astronomic. Invasive green crabs ravaged Heal Eddy clams planted in “control beds” without protective nets, but netted plots keep them at bay. It’s not for lack of potential payoff. According to the UN Food and Agriculture Organization, it’ll take an extra 40 million tons of seafood a year to meet global appetites by 2030, if current consumption rates remain unchanged. We can’t wild-harvest that much fish and shellfish — not without catastrophic ecological consequences — which means there’s a big-time economic opportunity awaiting coastal regions and workforces with marine expertise. According to the National Oceanic and Atmospheric Administration, 91 percent of the seafood Americans consume is imported, half of it farm raised. Domestic aquaculture yields only enough seafood to meet 7 percent of national demand. In Maine, we devote just 1,300 acres of state waters to aquaculture — double that, said a recent report from the Gulf of Maine Research Institute, and the value of the state’s shellfish aquaculture industry jumps from $6.5 million to more than $30 million. So why aren’t more traditional fishermen clamoring to get in on the bonanza? At least three reasons, says sustainable fisheries advocate Robin Alden, executive director of the Penobscot East Resource Center. For starters, aquaculture requires a substantial investment, along with plenty of red tape, and compared to, say, lobstering, the returns are slow — you’re not coming in with a catch at the end of each day. Secondly, there’s some reeducation involved, a shift from what Alden calls “generations of knowledge” to “book learning.” Finally, there’s a perception of aquaculture as big business, a rejection of the rugged independence and reliance on instinct that characterize a fishing life, in exchange for something seen as methodical and corporate. In a sense, asking a fisherman to shift into aquaculture is like asking a hunter to switch to husbandry. Dana Morse calls this last concern “the identity thing.” Morse is a UMaine Marine Extension associate who helps run the Aquaculture in Shared Waters program. In a sense, he says, asking a fisherman to shift into aquaculture is like asking a hunter to switch to husbandry — put down the gun, watch the grouse go free, and raise guinea hens instead. To hear both Morse and Alden tell it, it’s simply a tough sell. Back in 1996, when Warner was 24 and living in Bath, he got a tip that a coveted non-resident clamming license would be up for grabs in Georgetown in 30 days. So he packed up his camper, parked it outside the Georgetown municipal office, and prepared to wait. On day 13, the town told him he could go away — they’d honor his obvious persistence come day 30. Today, he grins at the memory. “They wanted me gone,” he says. But just to be safe, he came back on day 29 and camped out until he had the paperwork in hand. When Warner, now 44, decided to take up clam farming, he didn’t have to enter a years-long queue to do it. Which isn’t to say it happened overnight. A gregarious guy with strong hands and ropey arms, Warner picked out a spot he loved on Georgtown’s Heal Eddy inlet in 2011. He got the blessing of the riparian landowner, then filled out stacks of paperwork for a state aquaculture lease and a conservation closure. By late 2012, he’d sowed 14 plots, which look like raised garden beds, using seed he purchased from the Down East Institute. Crucially, he placed his seed under nets, protecting his crop from pesky, voracious green crabs. Funny Farms: At “floating culture” oyster farms, like Tim Johnson’s operation in Brunswick’s Middle Bay, oysters are grown in mesh bags suspended on the surface using rigid floats. Farther up the coast, 47-year-old Dave Cheney is another traditional harvester who made the leap to seafarming, and he knows something about patience, paperwork, and pests. A former lobsterman, he started farming oysters on the side in 2007 and sold his lobsterboat in 2012. At one point in between, he lost 75 percent of his farm to MSX, a disease caused by a parasite. 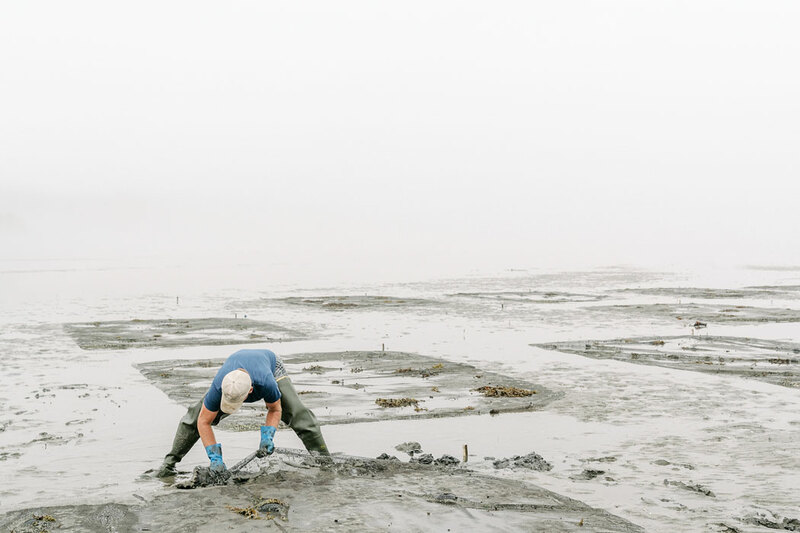 It’s only now, after a decade of backbreaking work and occasional frustration, that Cheney says, “I feel like my ship is finally coming in.” The grunt work of oyster farming, he found, was equal to lobstering, but with a lot more paper shuffling. Hagan was startled by how fervently some other clammers wanted him and Warner off the flats. What’s more, unlike lobstermen, most oyster farmers have to market their own product. 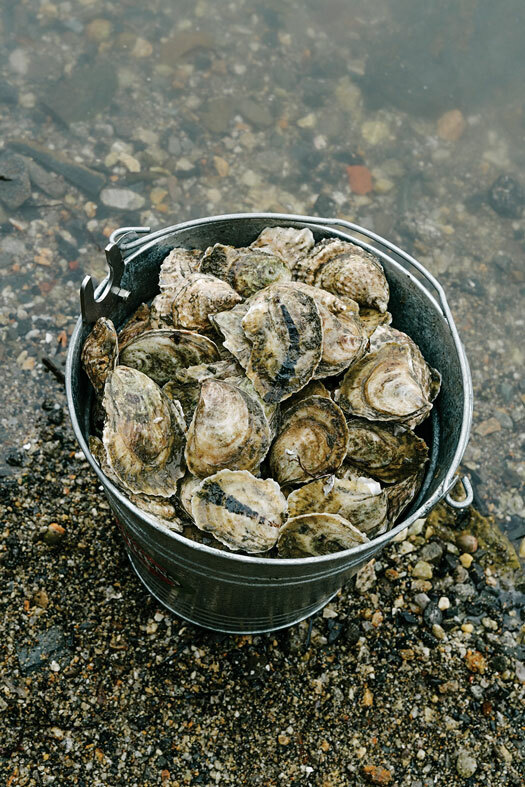 For Cheney, who has a marketing degree, that meant moving his crop from the Damariscotta River to the Johns River, to develop a distinct taste that would make his oysters stand out among Maine’s 70 or so oyster farms. 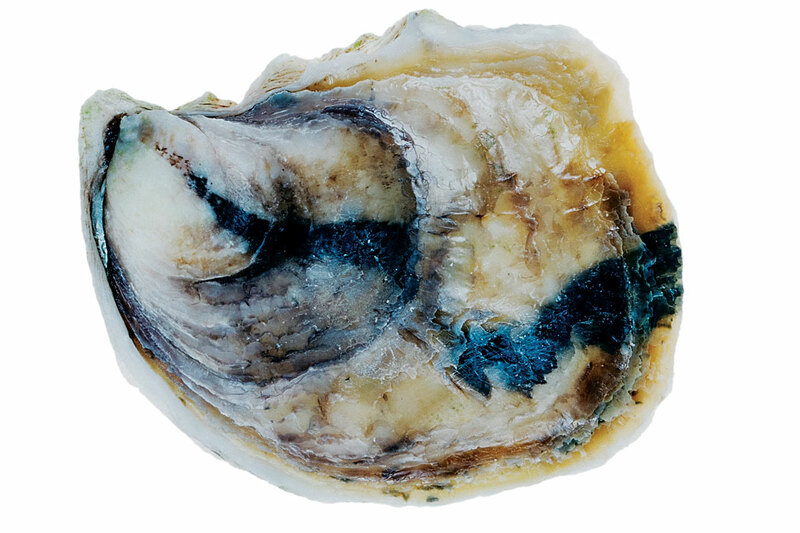 These days, his Johns River oysters are a mainstay at Portland’s trendy Eventide Oyster Co., where they sell for $29 a dozen. Tim Johnson, of Brunswick, was never much of a marketing guy. He got a degree at UMaine, but in engineering, not sales, and he spent 30 years clamming before dwindling harvests nudged him into oyster farming. He credits Maine Sea Grant’s Shared Waters program with kick-starting his entrepreneurial impulse. 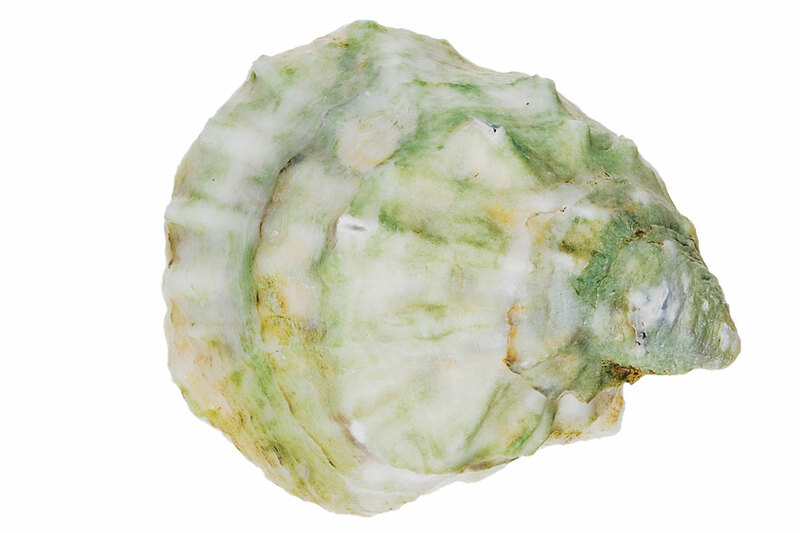 Johnson started Greenboat Oyster Company in 2014, and after three years of seeding and experimenting, he’s only now bringing oysters to market. One afternoon last fall, he stood on a sandbar in Middle Bay and shucked one of the oysters he’d grown in floating cages. “I’m just learning this myself right now,” Johnson said, twisting the shucking knife and handing over a half-shell to sample. It was unadorned, pure and briny, like a shot of cold sea liquor. 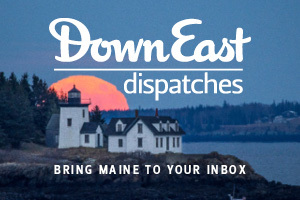 Johnson still works the clam flats, his payoff from oystering still a year or two out, but he’s already eager for summer, when the Great State of Maine Air Show returns to Brunswick, attracting scores of boaters who drop anchor in Middle Bay to watch. He’s thinking of setting up an oyster bar somewhere in the shallows, where leisure boats can pull up to order a few Greenboats. “Imagine if I had it here every weekend, at low tide?” Johnson said. At the thought, he shucked another oyster and shook his head in wonder. 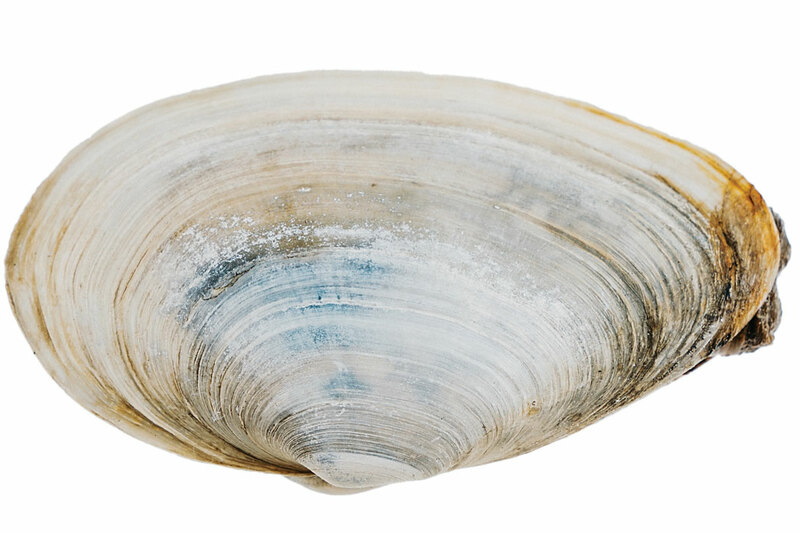 Clamming is still Maine’s third most profitable fishery, but landings are down from a peak of nearly 40 million pounds in 1977 to a little over 9 million today. That makes for intense competition over what’s still out there. When Warner launched his clam farm, he made a handshake pact with his fellow clammers in Georgetown that they’d leave his 1.5 acres alone. There were, after all, another 1,200 acres of mudflats in Georgetown. Many probably suspected their friend’s weird little project was going to dissolve after a year or two anyway. Then, in 2014, John Hagan was leading a group of University of New Hampshire students on a forest walk across the property adjacent to Warner’s mudflats. Hagan’s the president of a Massachusetts-based conservation and research foundation called Manomet, which he runs from an office in Brunswick. When he spotted Warner’s raised beds, the environmental scientist’s curiosity was piqued, and he arranged to meet Warner for breakfast at a Burger King in Bath. Hagan has a researcher’s reserved demeanor and a trace of an accent from his native Virginia. Over coffee and egg sandwiches, he listened while the effervescent Warner explained how he’d need 50 to 100 clam beds to make his imagined farm project a viable commercial concern. He’d need $10,000 to cover the cost, Warner said. “I’ll pay for that,” Hagan told him. Aquaculture can help ease the blow, Hagan insists, that a warming Gulf of Maine is going to deliver. These days, Manomet is a partner in Warner’s Heal Eddy enterprise, and Hagan and Warner make a chummy, slightly odd-couple pair. Hagan brings a data-driven approach to the project. 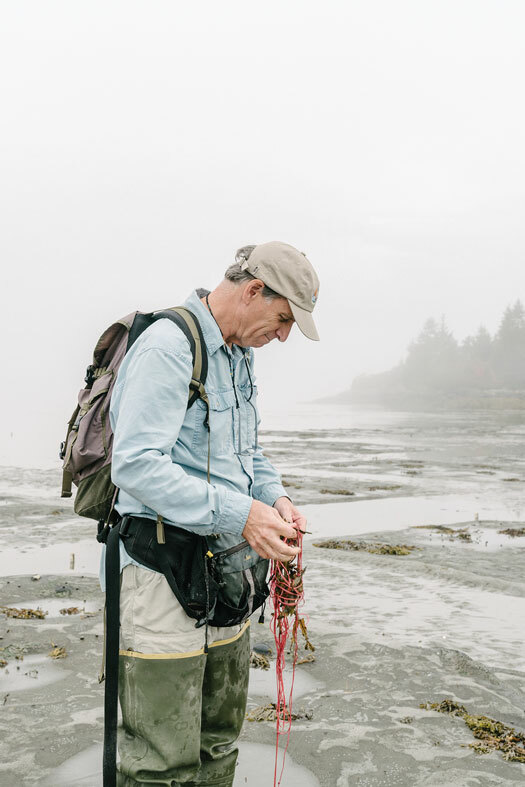 Warner, who still digs wild clams for most of his income, brings decades of boots-in-the-muck experience, along with a window into the culture of Maine’s sea harvesters. 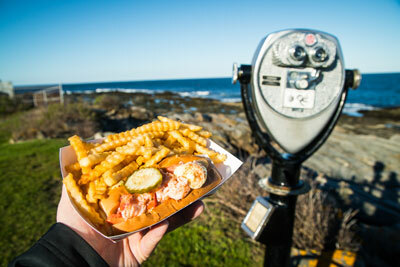 His local connections proved useful after Manomet helped expand the operation. Georgetown’s clam diggers had happily tolerated Warner’s initial 14 beds. 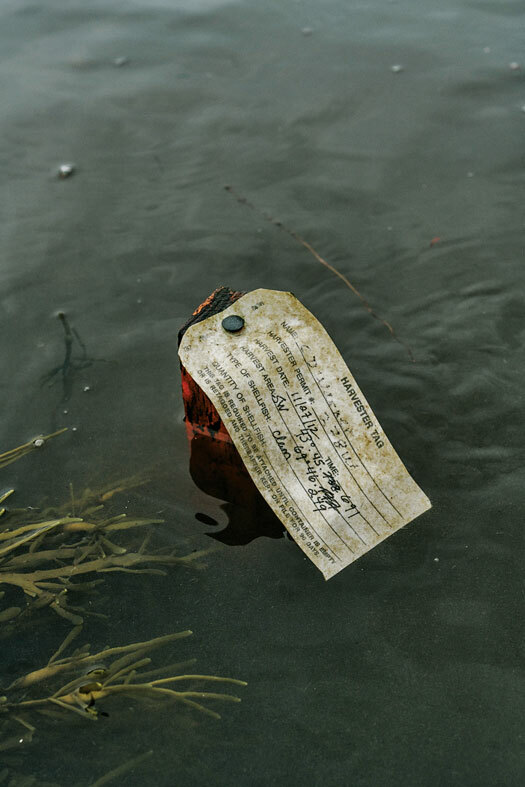 But when that number ballooned to 70 — and the Heal Eddy project started garnering press — many in the local clamming community turned suspicious, even hostile. “Then it got to be fancy,” Hagan says. “I think that’s what freaked them out.” Some clammers felt Manomet was making a play for their turf; others worried about having to compete on price with a large-scale aquaculture operation. “They assume that John is big business,” Warner says. So in 2015, Hagan came to Georgetown to convince them that he wasn’t. The conservation closure Warner had obtained for Heal Eddy was due to expire, and clammers at the meeting demanded to know when they could start harvesting there again. At first, Hagan says, he was startled by how fervently they seemed to want him and Warner off the flats. 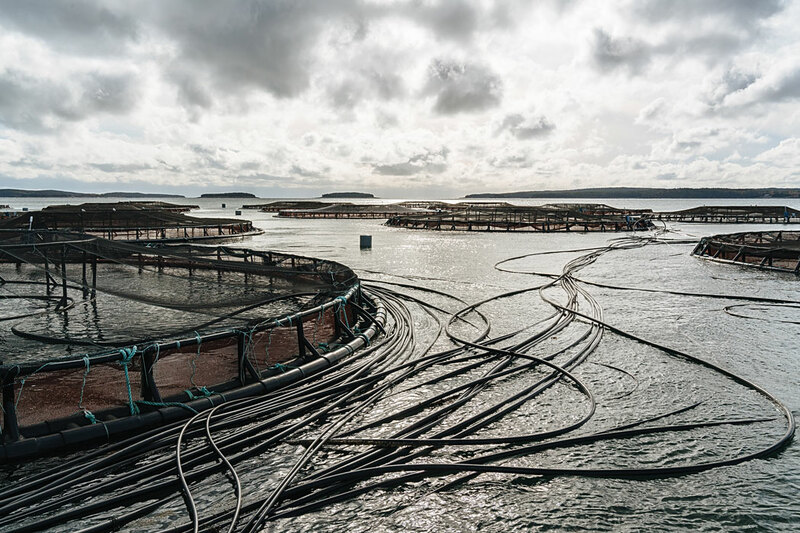 Down to a Science Top : Cooke Aquaculture’s Black Island salmon farm, south of Mount Desert Island, boasts a state-of-the-art automated feeding system that pipes food into each pen and streams a live, underwater video feed. The site produces 5,750 tons of salmon annually. 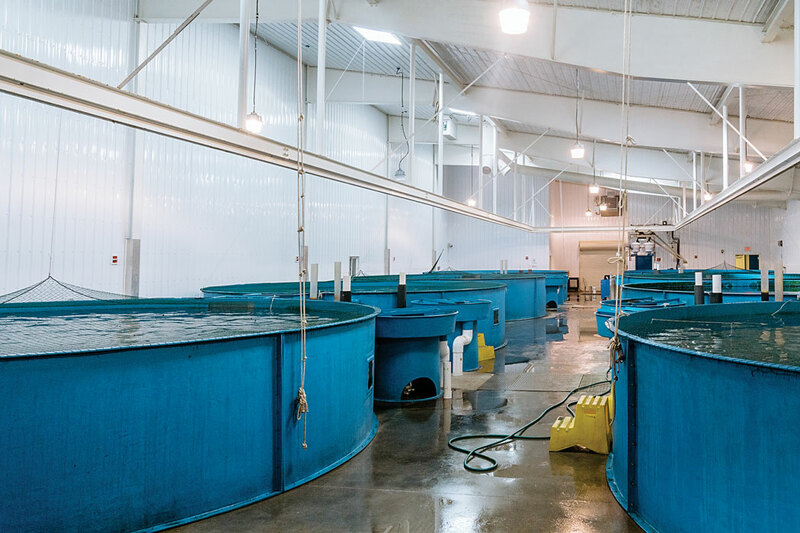 Bottom left: At the National Cold Water Marine Aquaculture Center, in Franklin, USDA scientists breed stock for salmon-farming operations like Cooke. The Georgetown clammers’ antagonism derives, in part, from aquaculture’s sometimes murky recent history. Internationally, the industry’s image has been dinged by revelations about slave laborers farming shrimp in Thailand and by the pollution associated with fish farming in China, where two-thirds of the world’s farmed fish are raised. Here at home, U.S. law allows aquaculture leases to be transferred, which opens the door for the kind of corporate consolidation that makes many fishermen leery.  Maine’s fishing community watched this play out with Atlantic salmon, Maine aquaculture’s biggest economic success story to date. Salmon farming in Maine began in the late 1970s with a few small, often family-run farms. Chris Bartlett, a UMaine Marine Extension associate, remembers serving some 15 companies in Cobscook Bay alone when he started offering extension services to salmon farms in 1992. Over time, though, Bartlett says independent salmon farmers found that economies of scale required continuing investment — bigger and bigger cages, with more and more space in between them. To stay competitive, many opted to consolidate, while others sold out to large European companies. And those companies’ reputations were often less than stellar. According to NOAA, Maine salmon production peaked around 2000, but it took a nosedive in 2005 following breakouts of disease, infestations of sea lice, and instances of farmed salmon escaping their pens. Environmental groups sued the remaining multinationals for violating the Clean Water Act, accusing them of fouling the ocean with excess feed, antibiotics, and feces (though, at the time, permitting and regulations were extremely lax). Fines were levied, regulations beefed up, and the industry pressured to clean up its act. 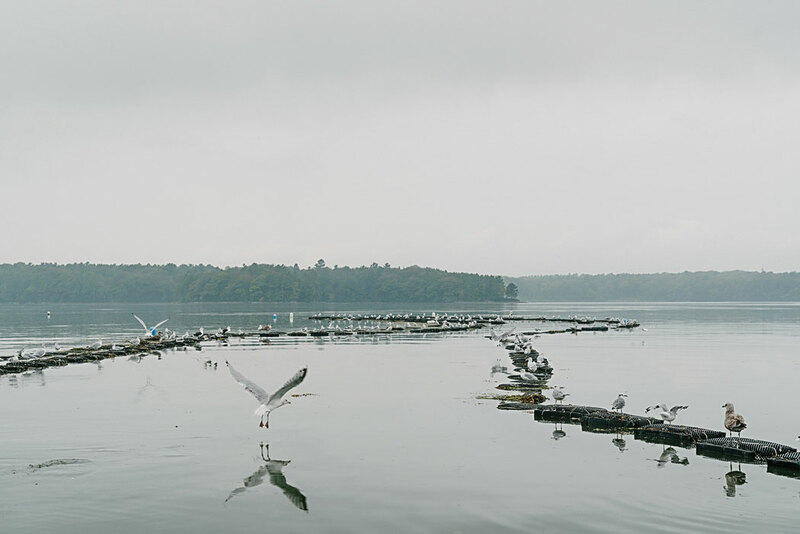 Today, salmon farming in Maine is the domain of just one company, Cooke Aquaculture. A family-owned Canadian firm, Cooke manages 22 sites across the state, along with operations in Scotland, Chile, and elsewhere. According to company spokeswoman Nell Halse, antibiotic use is minimal these days, and sites rotate in and out of use, allowing the ocean to “flush” waste from dormant fish pens and substantially decreasing a farm’s environmental footprint. Last year, the Monterey Bay Aquarium’s Seafood Watch program upgraded the sustainability rating of Maine-farmed Atlantic salmon from “Avoid” to “Good Alternative.” The company doesn’t share numbers, but the Maine Aquaculture Association pegs the value of Maine-raised Atlantic salmon somewhere between $65 and $85 million annually. Wading In Top: A harvester tag marks the edge of the Heal Eddy project; Bottom Left: John Hagan, an ecologist and president of Manomet, collects data from clams dug up there; Center: at 2 inches long, the minimum legal size of a harvestable clam in Maine, about 1,500 clams make up a bushel — but the larger the clam, the larger the profit; Bottom Right: Tim Johnson, of Greenboat Oyster Company, hauls in mesh bags that protect his crop from predators. That’s part of what makes some traditional harvesters, like the clammers in Georgetown, antsy about other scaled-up aquaculture ventures, whatever the crop. For her part, Alden expects that seafarming will be “a piece of the future” as the fishing industry changes, but she’s skeptical of giving it too much emphasis. 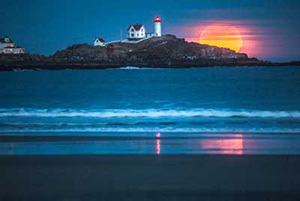 But it can help ease the blow, John Hagan insists, that a warming Gulf of Maine is going to deliver to Maine’s economy and marine ecology. And he believes that Warner’s clam farm at Heal Eddy is an important first step. That may take a few more visible success stories — for instance, someone like Chris Warner driving through Georgetown in a brand-new pickup, purchased with money he made digging in his big mudflat garden. For his part, Warner says he’d keep farming clams even if he were the only one doing it. But he’s not expecting to be a rarity much longer. 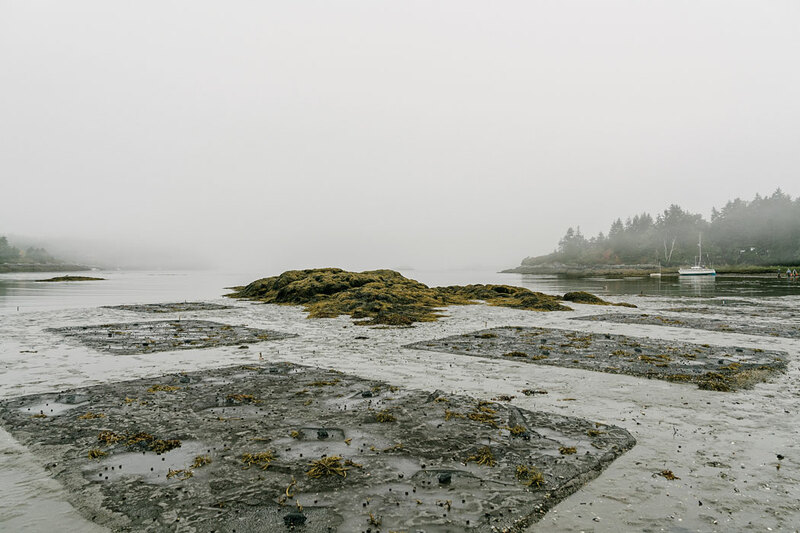 A single Canadian company, Cooke Aquaculture, manages all of Maine’s salmon-farming operations. Martha Stewart, guest editor of our April/May 2017 issue, spent a day on the farm. 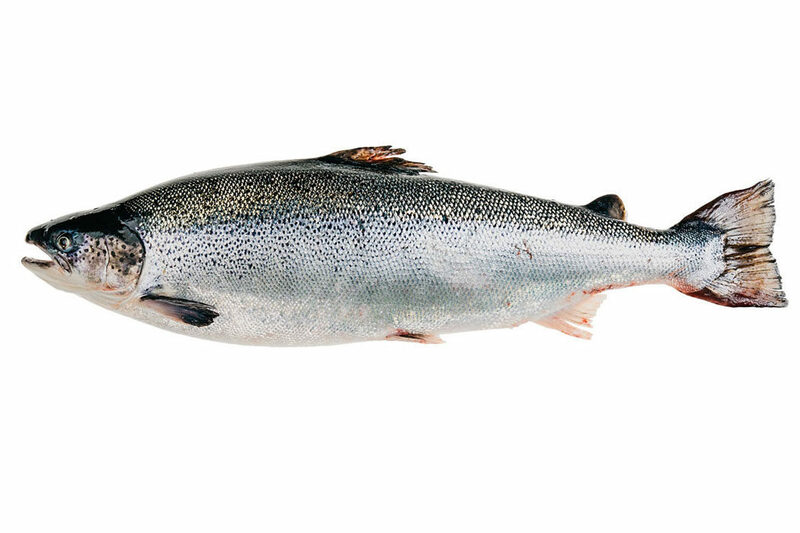 Salmon, one of my favorite fish, is dubbed the “King of Fish” for its rich flavor and numerous health benefits. Wild-caught and some farm-raised salmon are excellent sources of protein and vitamins, but it’s important to know exactly where your salmon is sourced and how the fish are raised. The market can be mystifying: Is your fish trawled or trolled? Wild or farmed? From the Atlantic or Pacific? And which is best? During a trip to Maine last August, I visited Black Island, south of Bass Harbor, to learn more about True North Salmon Company, the division of Cooke Aquaculture that operates the company’s Maine salmon farms. I learned that Maine has strictly enforced environmental controls, including a “bay management system,” with which True North complies. Salmon are separated into year classes, each in separate pens and separate bays from the others, allowing more effective disease control and containment. When a year class is harvested, the bay in which it was raised must spend a year fallow, allowing the area to recover. This system means that a third of Maine’s licensed salmon farms are fallow in any given year. Viewing the impressive operation, I wasn’t surprised to learn that True North is one of North America’s largest salmon producers. As we reached the shores of Black Island, we caught our first glance of the nets — and these aren’t typical nets. Each specially made cage is surrounded with netting and secured to the sea floor, and each can hold up to 30,000 salmon. When I visited, 27 nets were in use. At all times, two staff members are on the water, maintaining the nets. In addition to in-person inspections, the cages have special sea cameras installed, and the video feed is closely monitored by True North staff. Salmon are fed automatically; pellets are transferred from a barge via long plastic tubes that float atop the sea to each cage. Maine also has stringent rules governing the use of antibiotics, hormones, and wild fish in feed pellets. To learn more about buying and preparing fresh fish, visit the website of the Monterey Bay Aquarium’s Seafood Watch. Check out a bonus gallery of photographer Tristan Spinski’s images from this story! 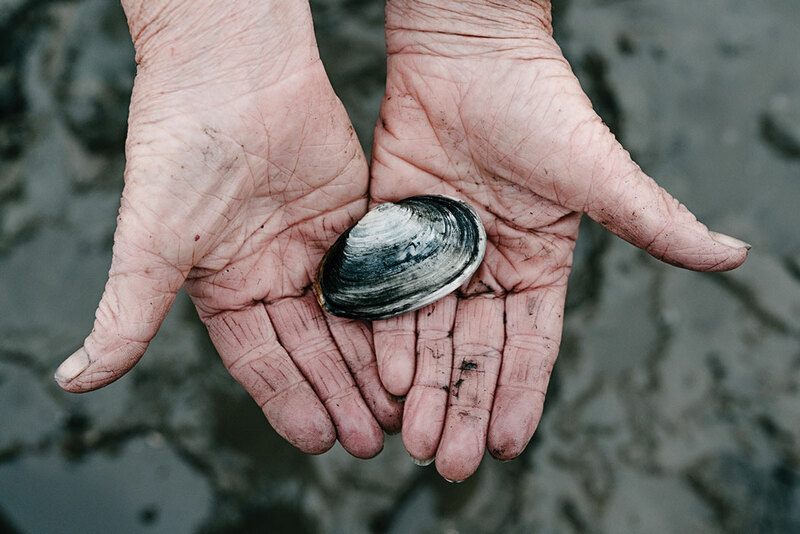 Click to learn more about the Maine Aquaculture Association, Maine Sea Grant’s Aquaculture in Shared Waters Program, and Manomet’s Maine Soft-Shell Clam Aquaculture Project. Mary Pols covers sustainability for the Maine Sunday Telegram’s Source section. She’s written for Time, The New York Times, and People. She’s the author of a memoir, Accidentally on Purpose.